Henry Tan was efficient in running Lakehead’s offense against the U of Toronto Varsity Blues on Saturday, scoring 28 points and leading his team to an 88-77 win. Tan didn’t do it alone, though. Bacarius Dinkins opened up with 12 points in the first quarter, in what looked like was going to be a romp for Lakehead, as they were ahead 25-13 after 7 minutes of play. 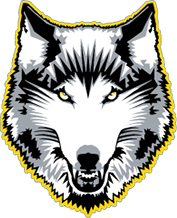 To the chagrin of coach Manny Furtado, the Blues took advantage of some sloppy defense by the ‘Wolves reserves in the final three minutes of the first quarter and drew within five, Lakehead up 28-23 after 10 minutes. It wasn’t until the third quarter that things really got cooking for Lakehead, courtesy of three straight 3-pointers by Brandon Persad, who came off solid screens and stroked in a quick nine points in four minutes of court time. The surge helped Lakehead pull away, up 67-53 with 10 minutes to play. Toronto made a late push but ultimately couldn’t get the defensive stops they needed. Henry Tan continued his solid play in the final quarter to finish with 28 points, 7 assists and 2 rebounds. Bacarius Dinkins had 17 points and 12 rebounds while Alex Robichaud, who was honored pre-game, gave the Thunderdome fans he’s played in front of for 4 years a proper send-off with four 3-pointers for 12 points and 3 boards. Alex Robichaud was honored in a ceremony to recognize his graduation and contribution to the ‘Wolves in his 5-year career at Lakehead. The men’s team completes their regular season next week on the road against Western and Windsor. Lakehead (10-7) is currently in a tight race with Guelph (9-8) for the final playoff spot in the OUA Central division, whose outcome will be determined next week. Lakehead needs to stay 1 win ahead of Guelph in order to make the playoffs, as Guelph would win a tie-breaker. The Gryphons play McMaster and Brock next weekend in Guelph.